Southwest Gulf Railroad would like to recognize the McDowell Middle School Interact Club…. …for helping transform an unused section of the campus courtyard into a beautiful garden with six raised beds. The garden will be used both for educational purposes and to provide the cafeteria with fresh vegetables. Thank you to all faculty, Interact Club members, volunteers and sponsors for working together to enhance our community. Congratulations on a job well done! 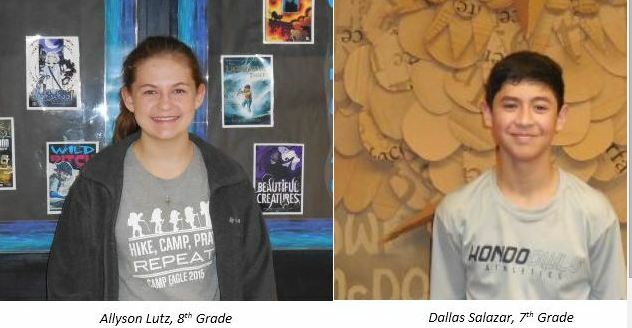 The Rotary Club of Hondo-D’Hanis and Southwest Gulf Railroad wish to thank Allyson Lutz and Dallas Salazar for their contributions to the Interact Club. Allyson joined Interact to learn about important leadership skills, and Dallas enjoys helping people in the community. 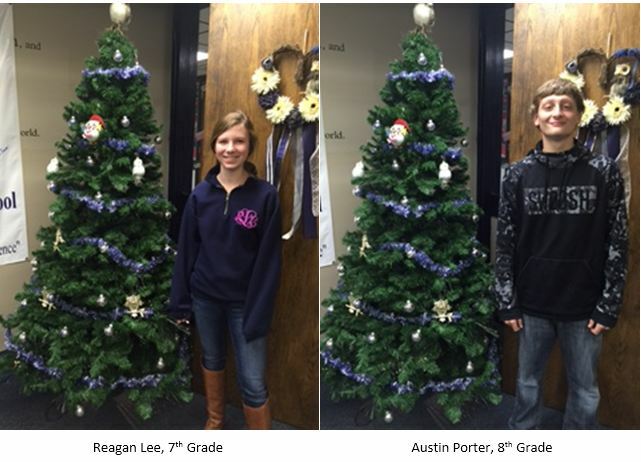 The Rotary Club of Hondo-D’Hanis and Southwest Gulf Railroad wish to thank Reagan Lee and Austin Porter for their contributions to the Interact Club at McDowell Middle School. Reagan joined Interact to learn about finances, and Austin serves on the fundraising committee. 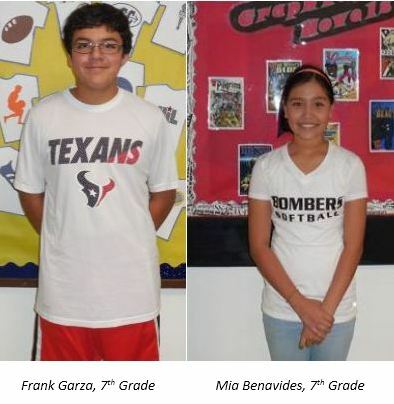 The Rotary Club of Hondo-D’Hanis and Southwest Gulf Railroad would like to thank Frank Garza and Mia Benavides for their contributions to the McDowell Middle School Interact Club. Frank serves on the Service Committee and Mia is a member of the Fundraising Committee. The Rotary Club of Hondo-D’Hanis and Southwest Gulf Railroad wish to thank Erin Mager and Jonathan Calvert for their contributions to the McDowell Middle School Interact Club. Jonathan serves as chair of the Club’s Fundraising Committee and Erin helps manage finances. 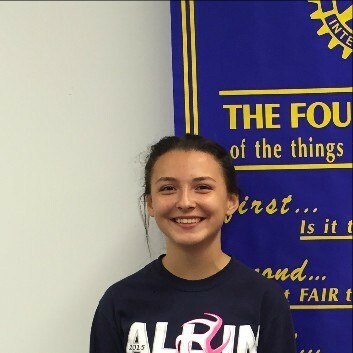 Celina Solis serves as president of Interact Club at McDowell Middle School. The Rotary Club of Hondo-D’Hanis and Southwest Gulf Railroad wish to thank 2015-16 Interact Club President Celina Solis for her dedication to McDowell Middle School’s first Interact Club, a service group that provides students an opportunity to create positive change. 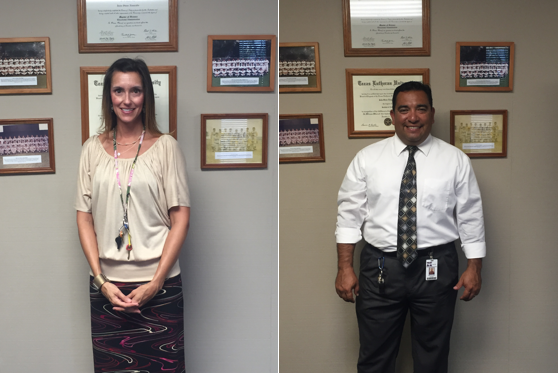 Christie Lobello (left) and Steve Alvarado were key contributors to the Interact Club at McDowell Middle School. Southwest Gulf Railroad and the Rotary Club of Hondo-D’Hanis wish to thank McDowell Middle School principal Steve Alvarado and counselor Christie Lobello for their help in organizing the school’s Interact Club. The Interact Club of McDowell earned a Presidential Citation in 2015 – the first club to receive the honor in the district. Interact is a service club for youth ages 12-18 who want to tackle the issues they care most about, such as hands-on service projects, making international connections, developing leadership skills and having fun! 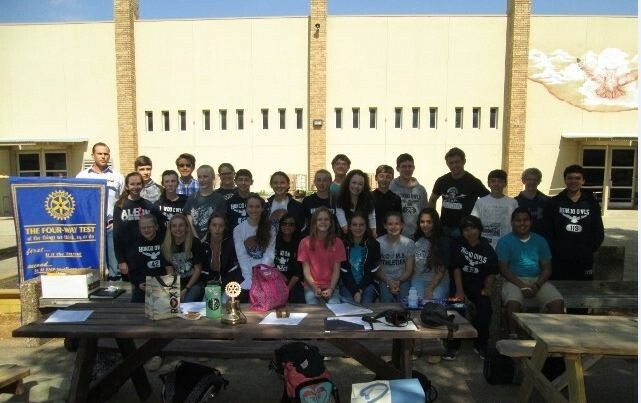 Rotarians serve as mentors to the Interact Club and work closely with the students.